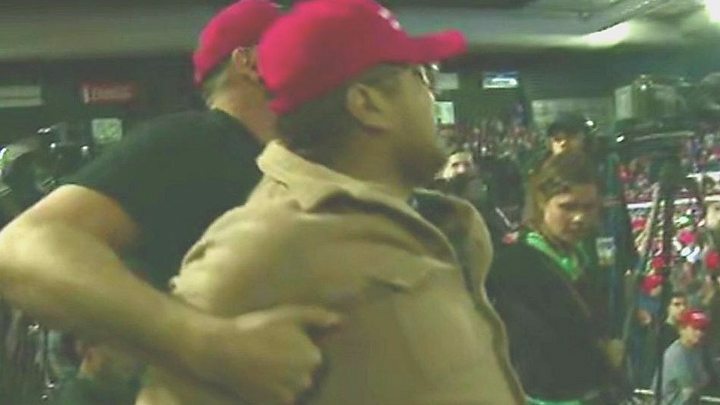 The frame then shakes and loses focuses as the camera operator as attacked by an unidentified man wearing one of Trump's trademark MAGA red hats. During Monday night's rally in El Paso, the President encouraged support for his proposed border wall with Mexico to protect the USA against a "tremendous onslaught" of migrant caravans, violent criminals and drugs. "This is a constant feature of these rallies - a goading of the crowds against the media". "The president could see the incident and checked with us that all was okay", the BBC said in a statement. CNN meanwhile filmed supporters of Mr Trump yelling abuse and swearing at reporters covering a rally in Florida past year. CNN Chief White House Correspondent Jim Acosta past year posted a video on Twitter that showed a hostile crowd at a Trump rally in Tampa, Florida.